The Grand Budapest Hotel: Famed director Wes Anderson is back in style. Set to be released on Mar. 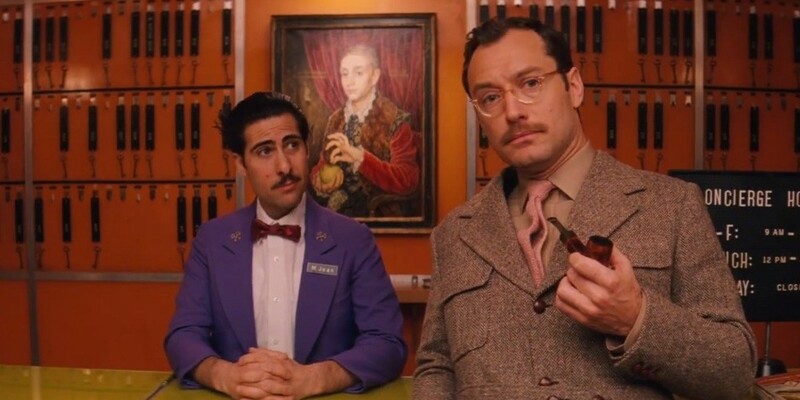 7, "The Grand Budapest Hotel" stars Ralph Fiennes, Jude Law and many other recognizable stars. The premise of the film revolves around Fiennes' character meeting a young boy who works with him in a 1920s European hotel. The film is Anderson's first since 2012's "Moonrise Kingdom." Need for Speed: Aaron Paul is back in action. Coming off "Breaking Bad" and other indie flicks, Paul stars in a film about the video game franchise. Also starring Dominic Cooper and Imogen Poots, "Need for Speed" is destined to knock the socks off all fans in attendance. It will be released on Mar. 14. Noah: Directed by Darren Aronofsky, "Noah" is a Biblical tale of epic proportions. Starring Russell Crowe, Jennifer Connelly and Ray Winstone, "Noah" revolves around the story of Noah's ark. With an impressive cast and incredible director, "Noah" will surely please fans when it is released nationwide on Mar. 28. Oscars: America's favorite awards show will air on Mar. 2. Hosted by Ellen DeGeneres, this year's Oscars are bound to surprise fans of Hollywood. Pay close attention to "American Hustle" and "Gravity" as they vie for the Best Picture Oscar. Other contenders in acting categories include Bruce Dern, Sandra Bullock and Matthew McConaughey. Suits: USA fans, rejoice. Season four of "Suits" debuts on Mar. 6. Featuring great performances from Gabriel Macht and Patrick J. Adams, it is likely that the new season of "Suits" won't disappoint. Bates Motel: Season two of "Bates Motel" returns on Mar. 3. Featuring brilliant performances by Vera Farmiga and Freddie Highmore, the drama-thriller always keeps the attention of its audience. Season one is available for binge-viewing on Netflix. Supermodel: It's been three years since Foster the People released its first album “Torches.” Featuring the single "Coming of Age," “Supermodel” is sure to please fans who loved one of 2011's biggest singles, "Pumped Up Kicks." The album will be released on March 14. Out Among the Stars: Nothing is truly lost forever. With “Out Among the Stars,” Johnny Cash is alive once more. Featuring an album's worth of material that has never been released, “Out Among the Stars” is perfect for any fan of classic country music. It will be released on Mar. 25. Mess: Liars is back with its seventh studio album. Featuring the lead single "Mess on a Mission," “Mess” will surely please fans of the indie band. It is slated for release on Mar. 25.